Horse Training Courses - Quantum Savvy Horsemanship. For a career with horses or for your own pursuits, Quantum Savvy presents the incredible opportunity to learn horsemanship and horse training directly with Master Horseman Shane Ransley. These courses are ideal for people wanting to truly learn to communicate, work with and understand a variety of horse types. Whether for working solely with your own horses, or training horses for clients, these courses will teach you how to work through many and various problems, enhance the existing ability and prior training of the horse, or to take the horse to the highest levels of competition attainable.Those that successfully complete the course/s will have the knowledge and skill to become professional, independent horse trainers. Quantum Savvy Students successfully completing the course will have the opportunity to become Endorsed QS Horse Trainers.Courses open to all competent riders, whether they be QS Members or non members. That all important ingredient, Impulsion, is the main focus of this course. Achieving calm, confident, consistent horses that are smooth to ride at all gaits is the result. Horses become easy and pleasurable to handle on the ground and ridden. Willingness, softness and forward going, are all by-products of the training this course provides. Horse Trainers – most clients are looking for this horse. One that will make their horse riding / handling time more pleasurable and safe. 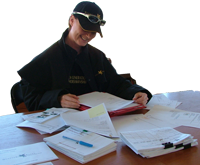 For more advanced horse training, or building on from the previous course, Certificate 2 is focused on Collection. Developing elevation, lateral flexion and true self carriage, as well as softness and lightness through the whole horse. The ideal course for learning how to prepare horses for all competition, from local shows to the highest levels. Horse Trainers – clients of this level are seeking to have their horses excel at their chosen sport. Racing, eventing, dressage, camp drafting – you name it, this training course will propel horses to the highest levels of competition. Ideal follow on from the Cert 1 programme. That all important first ride, where the foundations of the horse’s ridden future are laid. It is crucial at this time, that the young, unstarted horse has a positive experience and learns that he can trust his rider to help him and bring out his very best. After many years and countless horses, Shane is a master at first rides and will share with you his knowledge and techniques for commencing this very special journey. The result – confident, soft, forward going horses that are a pleasure to ride. 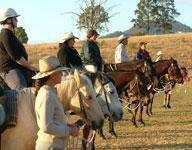 Horse Trainers – this course will teach you how to start or restart, any horse under saddle. Sometimes, basic training or retraining just isn’t enough, when a horse has serious issues with fear, confidence or trust, all of which result in a horse that has become dangerous and unmanageable. This course is for those horsemen who have the burning desire and fortitude to work with this type of horse. Often, the Difficult Horse Trainer is the horse’s last resort, so while this is can be a difficult course to master, the result is very gratifying. Horse Trainers – many good horses become difficult horses, due to a lack of understanding, good handling or leadership. These horses may challenge you but it is amazing to see them become the horse they truly can be. Achieving this level is the result of many years of working with horses and many hours of studying horses and horsemanship. There is no specific course for this level, rather it is attained purely as a result of the hard work, time and effort applied to all of the areas above. Horse Trainers – be truly competent and confident to work with and help any horse, from any discipline and for any result. You will need 3 horses to do the AS & PT Certificate 1 and 2 courses. You can bring your own horses or we may be able to supply them. Please do not bring your Levels horse. The horses must be in need of training. The horses will be evaluated by Shane on day one for suitability. If you are going to bring a client’s horse to train, you can charge them for the training. We recommend up to $500. Horses for Certificate 2 should ideally have already completed the Certificate 1 course or be horses of a higher level. Don’t bring problem horses to the Certificate 2 course, as it may impede your successful completion of the course. You will need 3 horses to do the Colt Starting Course. You can bring your own horses or we may be able to supply them. The horses will be evaluated by Shane on day one for suitability. If you are going to bring a client’s horse to train, you can charge them for the training. We recommend up to $1000. Completion of the course does not guarantee that you will pass the course. Each participant will be evaluated by Shane throughout the course and successful graduates will be given a certificate reflective of the course at it’s completion. *To be a qualified QS Grade 1 Horse Trainer, you need to have passed your Level 2 with your levels horse and passed the All Sports & Pre-Training Certificate 1 course. **To be a qualified QS Grade 2 Horse Trainer, you need to have passed your Level 3 with your levels horse and passed the All Sports & Pre-Training Certificate 2 course.The AS & PT Certificate 1 and 2 courses combined, meet the horse training requirements needed for those of you looking to become QS Endorsed Instructors.+To be a qualified QS Grade 3 Horse Trainer, you need to have passed your Level 3 with your Levels horse and passed the Colt Starting Course. Pre requisites are the Grade 1 and Grade 2 courses.++To be a qualified QS Grade 4 Horse Trainer you will have done all of the above and completed the Difficult Horses Course.#To be a qualified QS Grade 5 Horse Trainer you will have achieved Senior status in the four prior Grades.